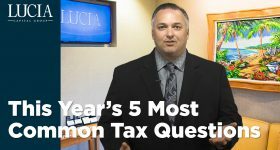 This is the time of the year when many individuals begin to stress over their upcoming federal and state income tax liability. 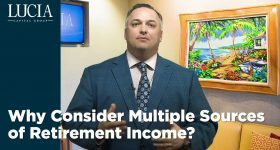 It’s also a time where planning ahead may actually save you real money—but you will likely have to act before the end of the year to benefit. So time is drawing near. Parents and grandparents in relatively high income tax brackets could legally shift the income tax liability on the sale of appreciated assets to individuals in lower brackets. Here’s how the strategy might work. Say you own some pricey stock you’re thinking of selling that you paid $5,000 for a few years ago that’s now worth $20,000. You have two children or grandchildren out of college and just starting out in their careers that you’d like to help. Their expected income is less than $25k each this year. 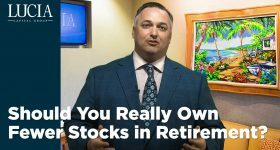 You’re thinking of taking the stock sales proceeds and then giving each of them a cash gift of $10,000, but you’re concerned about the taxes you might have to pay on the $15,000 capital gain in your relatively high federal income tax bracket. 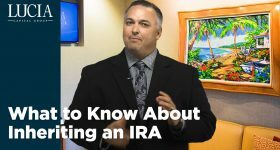 After reviewing various strategies with the appropriate tax advisors you decide not to sell, but rather make a gift of the $10,000 in stock to each child as an “in kind” transfer of the shares. Then the kids could sell the stock themselves and pocket the proceeds. They would each realize the $7,500 capital gain and report it on their income tax return, but they would not likely have to pay any federal capital gains taxes. That’s because their income including the $7,500 gain would put them in the 15% marginal, ordinary income tax bracket and under current law the tax rate they would have to pay on long-term gains is zero. So the bottom line is if you were to sell the stock while in a 25% or higher marginal tax bracket you will pay at least $3,000 in federal capital gains taxes, while a gift and subsequent sale by the children would cost them nothing in taxes. And the tax savings could be even more if you are in a significantly higher tax bracket. There would be no gift taxes due either nor even a tax form to file since the gift didn’t exceed the $14,000 per beneficiary annual exclusion amount. Planning is the key and at Lucia Capital Group, we are committed to make financial, tax and retirement planning an important value added benefit of our wealth management relationship.